Redesigning and redecorating a room can seem like a project that never ends, but with the right approach, you can find the furnishings and colors that meet your standards. 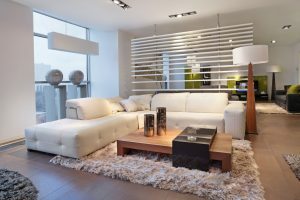 When decorating a new living room, there are countless options to choose from, and picking your favorites might be difficult. Everything from the chairs and couches to the lamps and the artwork will play a part in creating the atmosphere you want. At Hortons Home Lighting in La Grange, we can help you plan and design your living room, and find the perfect home decor! Any design project can begin with color, and knowing which ones you prefer for your living room can help you get a good start on your decorating. Do you want dynamic blues and greens to be the main colors of the room, or would you rather have calming colors such as taupe or off-white? If you have lots of wallspace that’s going to be painted one color, think of what main color you’d prefer and then which complementary colors you can use to provide a “pop” around the room. You want the space to be intriguing and inviting, as well as a space where you can be comfortable sitting for a few hours while you watch TV or entertain guests. Many homeowners, some without even knowing it, are attempting to create a theme within their living room. It might be a rustic cabin theme or an upscale modernist theme, but everyone has ideas of how they want their room to look and function. The style of decor and lighting you choose will go a long way in creating that theme, and it’s important for everything to be consistent. A fixture or piece of artwork that doesn’t fit the theme can stand out like a sore thumb. However, you can always go the eclectic route and pick options from various styles, and design your own unique living room! As stated above, the lighting plays an important part in the atmosphere of the room. If you have vaulted ceilings, you may be thinking of adding a chandelier that acts as the focal point of the room. If you’re designating certain areas of the room for certain purposes, such as a sitting area, viewing area, etc., you’ll want to pick fixtures for each one. You’ll also want to take into account how much natural light the room gets, and how that will interact with the colors and decor you choose (as well as when you’ll need the most artificial light). Picking out home decor doesn’t have to be difficult, and if you’re redesigning an entire room or building a new house, let Hortons help you with the entire process. Our selection of furnishings, decoration, and lighting will give you endless options, and we can help you narrow down your choices. Visit us in La Grange or one of our other Chicago-area locations, and find the perfect products for your home!